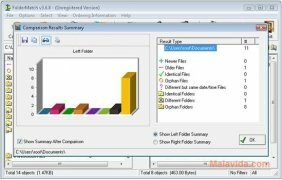 Do you work with the same files and folders at home and at work? 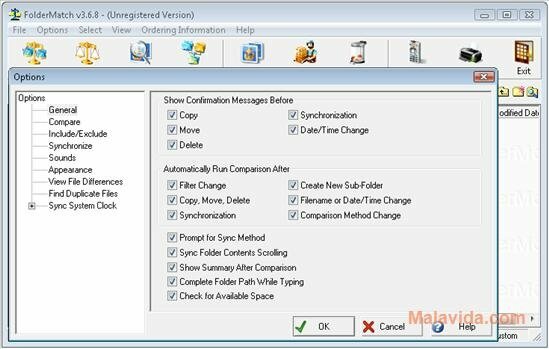 Don't you remember when the last time you synchronized certain files in your backup copy? 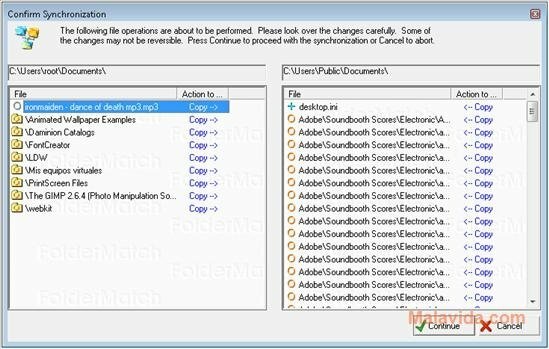 All this has an easy solution thanks to FolderMatch. 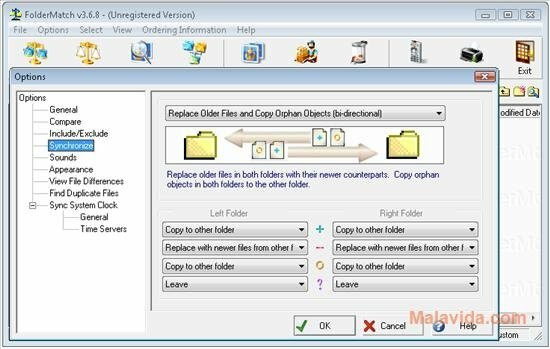 Thanks to FolderMatch it will be possible to have two totally identical folders, be it on the same hard drive, on different hard drives connected to the same computer or even on two totally different computers. 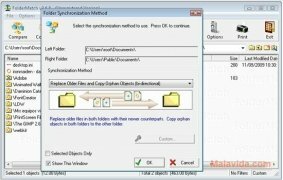 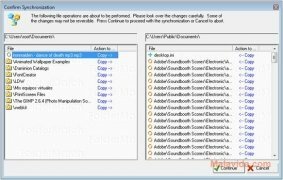 FolderMatch compares the contents of two folders and all their subfolders, and it shows the user a list with all then changes there are between one and the other, and it allows the possibility to select what contents is going to be synchronized, in such a way that it will be identical. 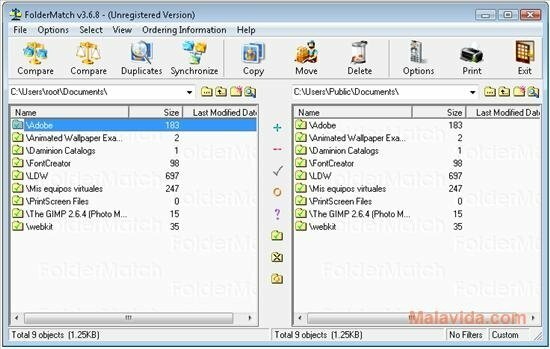 What's more, Foldermatch also allows to compare two files for those cases in which it isn't at all clear which includes the contents the user is interested in. 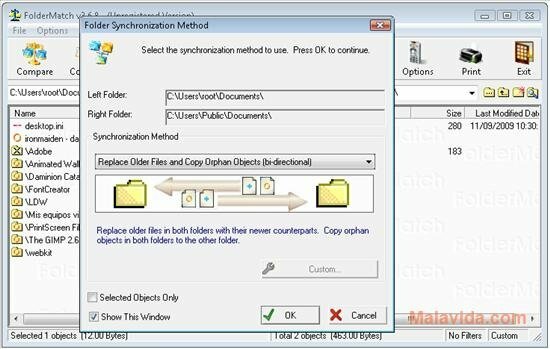 Therefore, if you want to have a program that will allow you to synchronize two folders, all you have to do is download FolderMatch.